Some simple tips to become a better baker! New Pyrex ambassador and Australian MasterChef runner up Georgia Barnes is the first to admit baking isn’t easy – it’s an exact science that takes practice. However, everyone can perfect their baking with a few simple tricks, she says. Georgia recently launched the Pyrex Platinum Premium Bakeware collection, only available in Australia, which consists of more than 50 products, sold through outlets including David Jones, Kitchen Warehouse, Victoria’s Basement, Peters of Kensington and Harris Scarfe, ranging from RRP $9.50 to $42.50. Pyrex has sourced premium metal materials which resist rust and are guaranteed PFOA free. They are also engineered to precise densities for each Pyrex Platinum product to ensure no sticking and even cooking. Georgia says Pyrex Platinum, which includes distinct pieces such as the 12 Cup Mini Bundt Pan will satisfy the keenest of bakers for every occasion. She has these suggestions for avid bakers who want to change things up a bit and use bakeware in a unique way. Not just for the oven. The quality and different shapes and sizes of the Pyrex Platinum products are fantastic for creating lots of different dishes. Frozen desserts like parfait, semi-freddo or ice-cream cake would set perfectly in the 8 Cup Petite Loaf Pan (RRP $19.95) or you could take a step back in time and create a retro jelly dessert using the Fluted Tube Pan (RRP$15.95) as a mould. Individual portions are always a hit when entertaining and can make self-serve so much easier (no squabbling over whose piece is bigger). 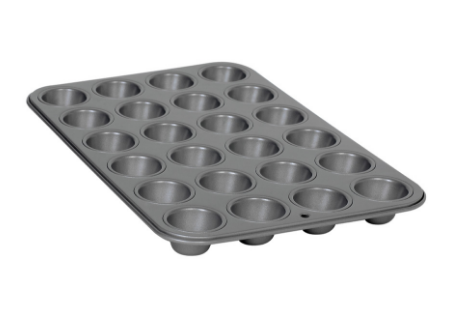 Why not make Yorkshire puddings using the 12 Cup Muffin Pan (RRP $15.95) for your next family roast? Or put a spin on the dinner roll with individual homemade focaccias using the 12 Cup Cupcake and Tart Pan (RRP $23.50). Transform your standard muffin recipe into something really special with the individual 12 Cup Mini Bundt Pan (RRP $25.95). No need to worry about decorating with icing or frosting as the tin does everything for you - and saves you the calories! Not everything has to be sweet. Get creative and put a savoury twist on madeleines using garlic, parmesan or fresh herbs. ✓ Are non-stick and guaranteed PFOA free for safe, easy cleaning. ✓ Are Dishwasher safe. ✓ Will resist rusting over time and are metal spatula safe, due to the high-quality materials used. ✓ Have a 5-year limited warranty. 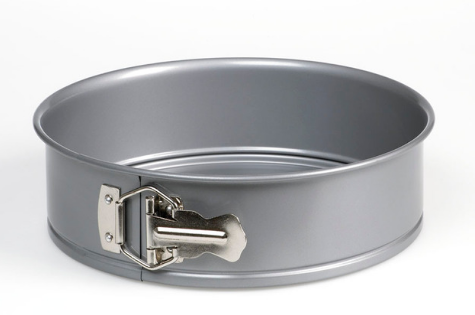 ✓ Provide effortless release of finished baked foods when used correctly per oven specifications, due to the even cooking temperatures generated within the pan or tray.